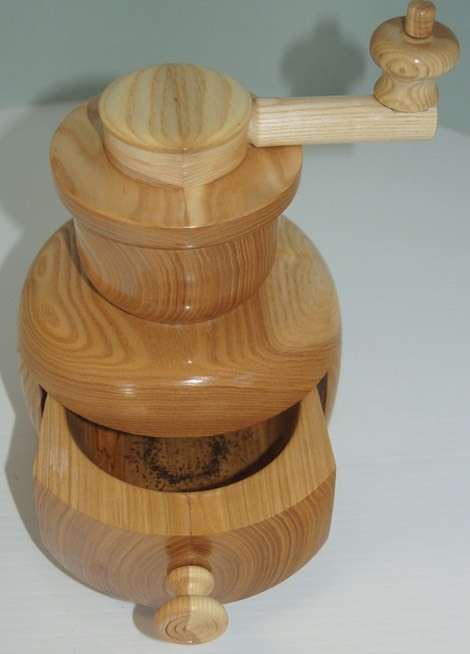 I have been making Coffee Mills for several years, but in the last year or so my suppliers of the mechanism have stopped selling it. So I was no longer able to produce a good unit. So I had to come up with a different idea. I looked all over the world for a better idea but it just wasn't available as a coffee mill kit. 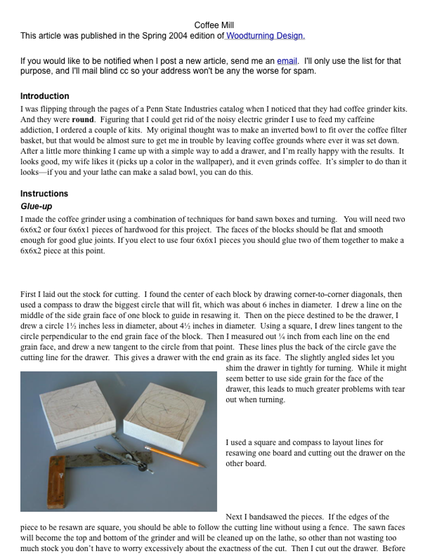 Suppliers in Europe offered a very well made Salt crushed mechanism so I had to come up with a way to adapt it to my Coffee Mill base which was originally written up by David Reed - Smith in Woodturnering on-line http://www.woodturningonline.com/Turning/Turning_projects.php?catid=24. These Grinders are still available but really are more for show than for grinding coffee beans. Here is my unit ! This baby is for grinding coffee and has a Ceramic Grinder with a Life time warranty. 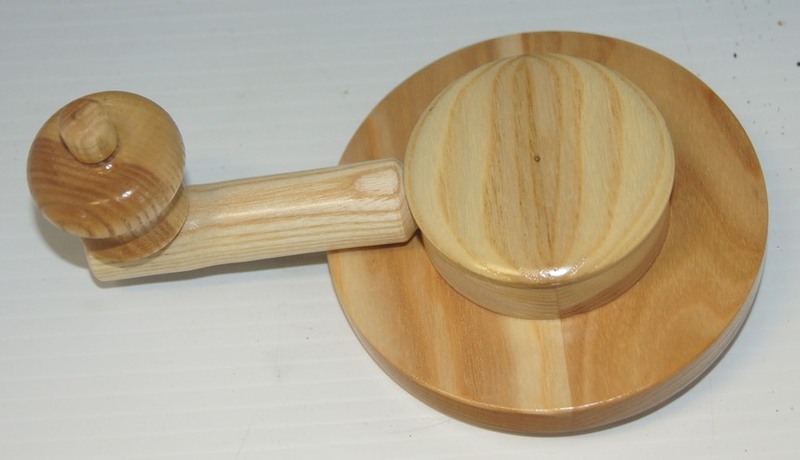 As you can see, the unit is all made out of wood even the bean hopper. The top comes off exposing the grinder, you fill the hopper with coffee beans, put the lid back on and now the top is used as a crank to turn the crusher. This lid is Prototype #2 and is much better. I hope you enjoy fresh ground coffee! If you require more details on how this is done, please click on the doc below to get full details.